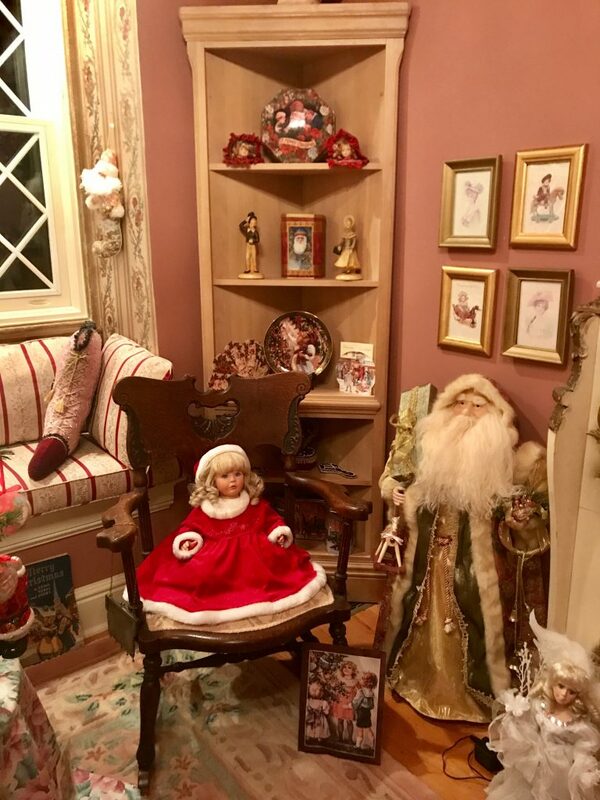 This entry was posted in family, Holidays, Nostalgia, YouTube Video and tagged antiques, BBH McChiller, family heirlooms, Lynn Kelley, magical room, secret Christmas room, Victorian Christmas decor. Bookmark the permalink. 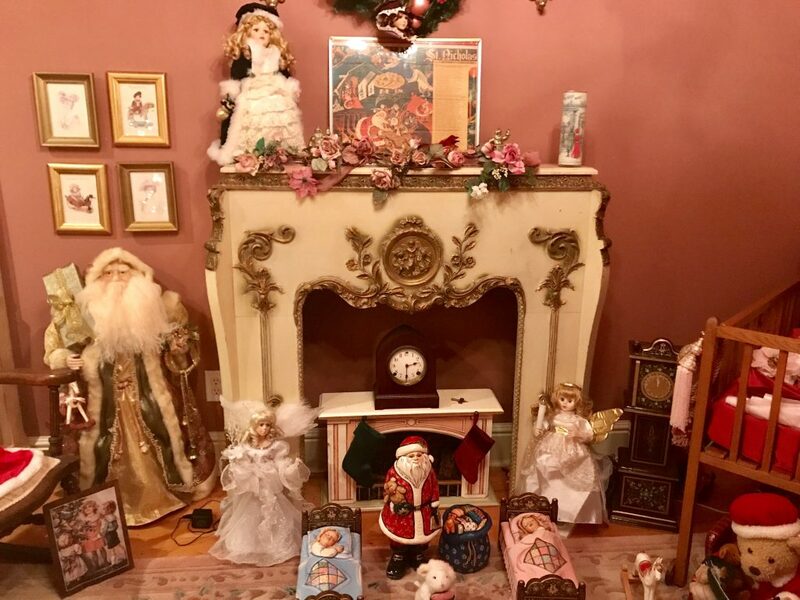 11 Responses to The Secret Room – Christmas All Year Long! Like having a museum in your own house. Amazing that everything looked so new. Yes, it’s like a museum or a charming boutique. You’re right, Alex, it is amazing that everything looks so new. Pretty amazing. Thanks for stopping by! This post brings up wonderful memories of visits to my grandparents, their elderly friends or my many gran-aunts and -uncles as a child. So much wonder… and history. But at the time, it was just delight. I’m thrilled to hear this post brought up such precious memories for you, Eden! Yes, so much wonder and history and definitely delightful. Thanks for stopping in! Wow, good on her. I think that’s so sweet. Your Aunt Val sounds wonderful and I love the old-fashioned look to everything! Yes, she’s an amazing lady. It’s like a time capsule! Thanks for stopping by, Yvette! That room is really cool! Especially cool is that she has all these family heirlooms, and is able to enjoy them any time, rather than keeping them packed away. I can’t imagine having a place like that just from the standpoint that in my house, it would be a dust-collecting room! I think it’s wonderful that she displays all the heirlooms. 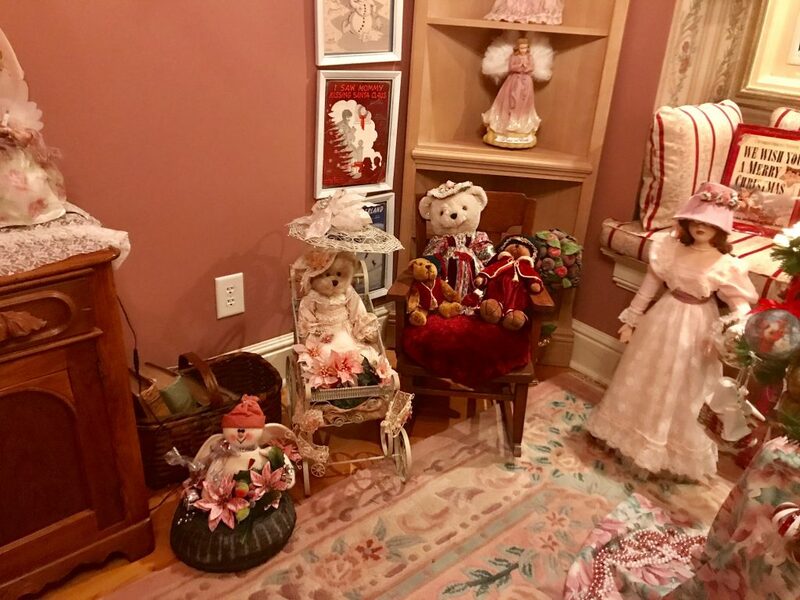 She has others throughout her house, and I was amazed at all the family history she has, plus loads of other antiques, rare books, and her artsy way of displaying everything. It was a neat visit. Thanks for stopping by, Jennette! Great photos, Lynn! What a cool room! Thanks, Carol. I’m so glad you enjoyed the post! 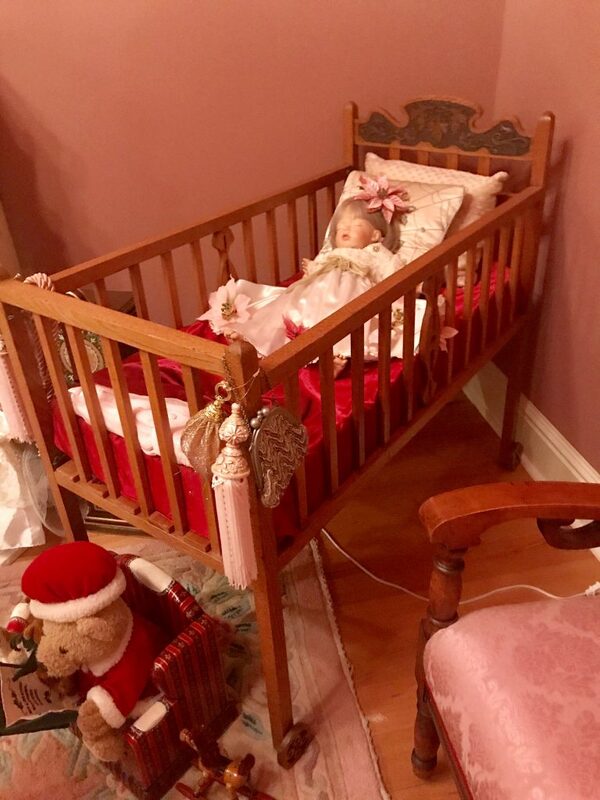 I love the crib that our grandfather slept in the most…that is amazing that she kept it, amongst all the other treasures! 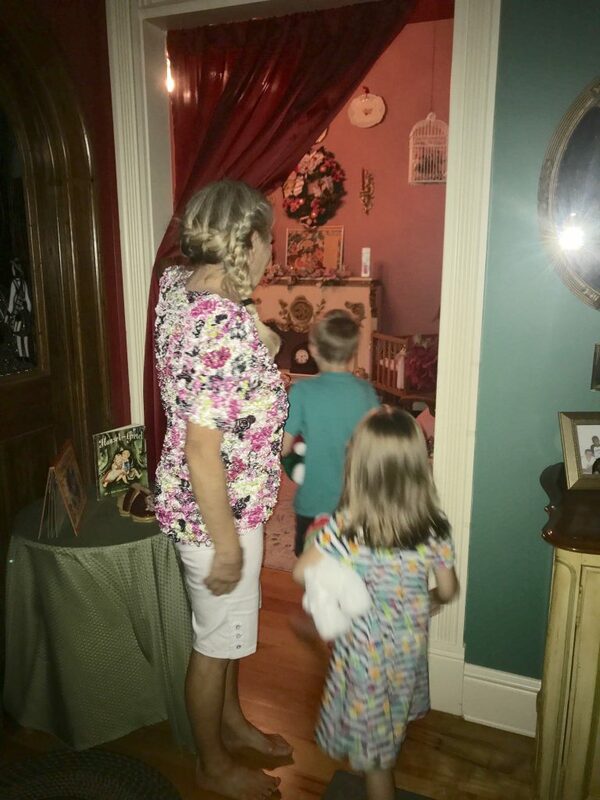 What a special visit for your grandchildren…they will never forget that experience!